The story of people living at Hinkley Point is still being discovered. Recent photographs below taken by Cotswold Archaeology. Who carried out the archaeological work? 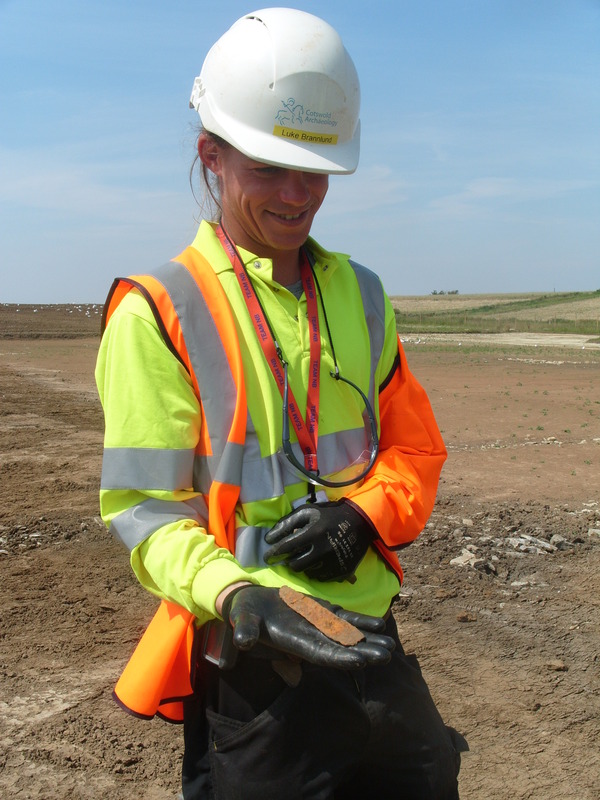 Cotswold Archaeology carried out the excavations at Hinkley Point. The South West Heritage Trust undertook archaeological site monitoring on behalf of Somerset County Council. Where did the excavations take place? The excavations took place at the Hinkley Point C development site. Excavations also took place further south at Shurton and on the location of the Cannington by-pass. 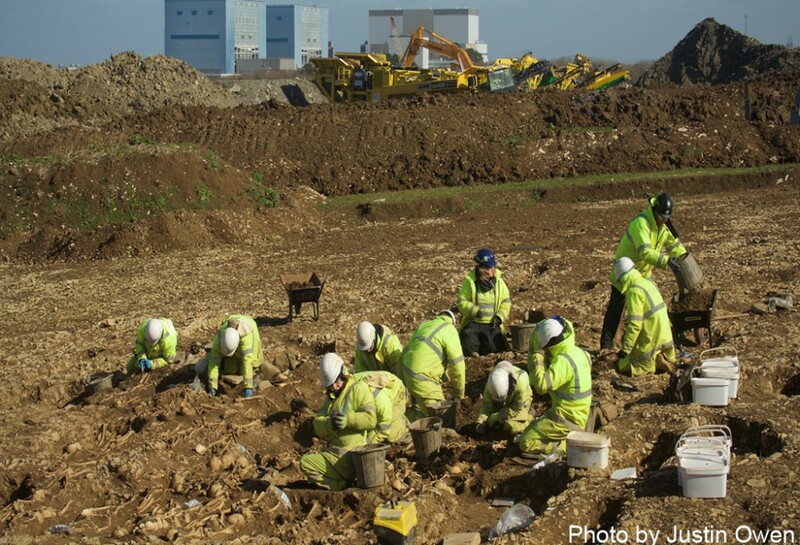 Why did the archaeological excavations take place at Hinkley Point? EDF Energy was granted planning permission for site preparation works at the proposed Hinkley Point C site by West Somerset Council in July 2011. Following a legal agreement on the site preparation works in January 2012, archaeological excavations started in March 2012 and concluded in May 2016. The site preparation works help to get the site ready for the main construction to come. Who paid for the excavations? EDF Energy has paid for the excavations and is also covering the costs of the archaeology outreach programme. What have the archaeologists found? Five parts of the main Hinkley site were excavated. Site 1 revealed a Romano-British field system with causeways across ditches. There were three enclosures which were probably for keeping animals. There were remains of buildings and a possible drainage channel. Eleven adult burials were discovered. Many of these had hob nails surviving from boots they once wore. A decapitated skeleton with a copper alloy bracelet was covered by two slanting slabs. Site 2 revealed pits and signs of scorching. This suggested clearance of scrub. There was no sign of a settlement. 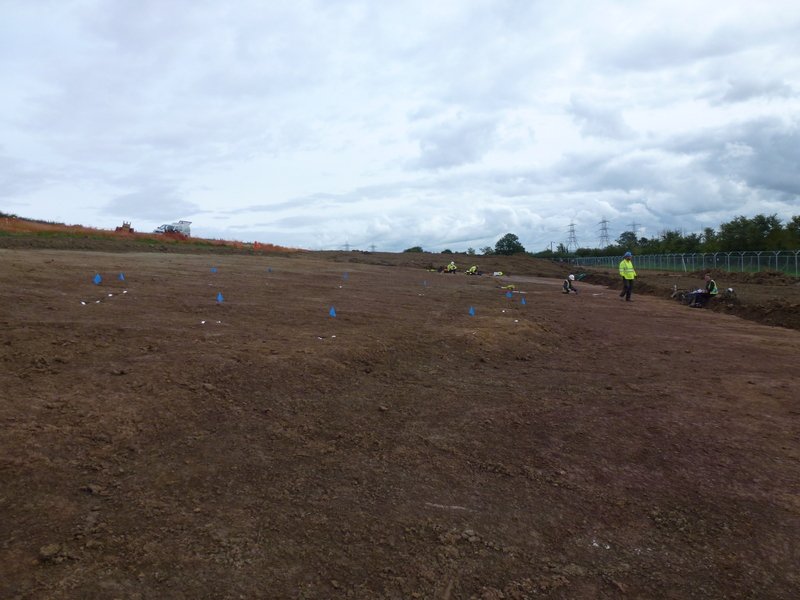 Site 3 revealed probable Bronze Age pits filled with pottery, a copper alloy ring and a stone disc. Site 4 revealed Bronze Age boundary ditches and a large Iron Age/Romano-British field system, along with settlement and burials. A sunken featured building dating from Anglo-Saxon times was also found. This is the first to be identified in West Somerset and is an exciting and significant discovery. Site 5 revealed Bronze Age boundary ditches and Iron Age/Romano-British enclosures. There was also a settlement and human burials. Site 5 is a continuation of site 4. Hedgerows were excavated also excavated along field boundaries. All hedgerows were built up on earthen banks. One had been built up higher, probably to keep animals from straying. Many field boundaries show on the 1614 map. Close to Wick Barrow another site was excavated. 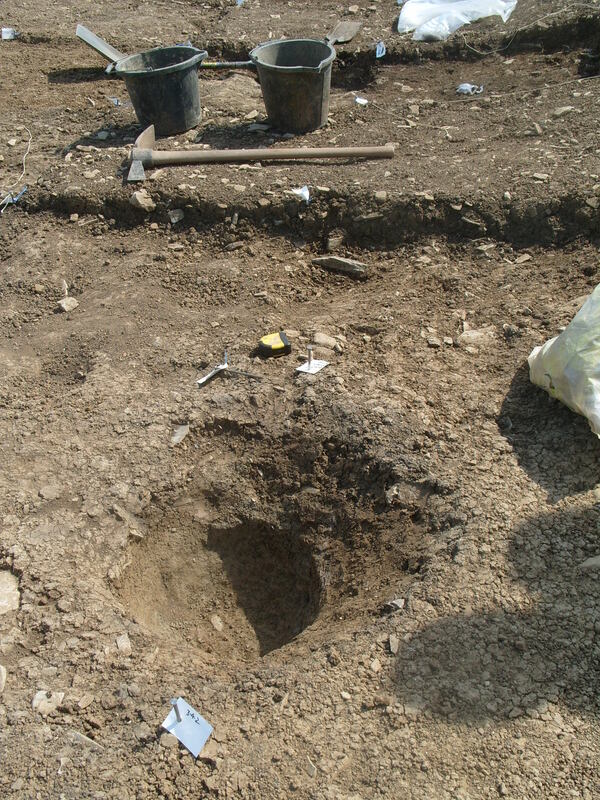 Archaeologists found the remains of boundary ditches, pits and postholes, all from about 2,000 years ago. What do we know about people’s lives here in the past? Hunters and gatherers moved around this area about 10,000 years ago. Archaeologists found small flint tools that they used for hunting or fishing, and also for skinning and cutting animal flesh. Flint tools were the ‘Swiss army knife’ for people at this time. People settled here from about 4,000 years ago, during the Bronze Age. They were farmers and kept animals. Archaeologists found weights for fishing nets showing that Bronze Age settlers caught and cooked fish. 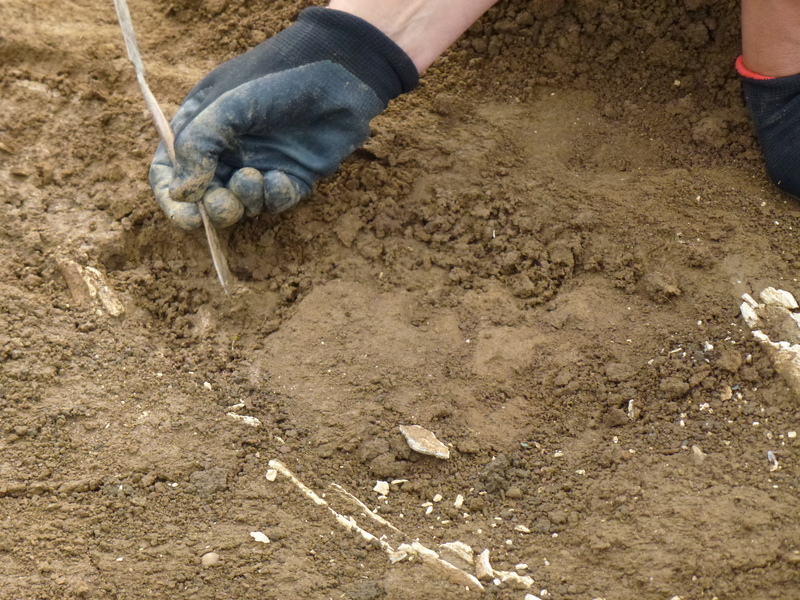 We also found several pits of Bronze Age rubbish, containing bits of pottery. Post holes from an earlier fence were also unearthed, although we don’t know exactly what it was used for. From about 2,500 years ago, Iron Age people lived here. People lived as families, in round houses. They used pots for storing and cooking food. We know that they made bread and ate meat and fish. Iron Age lifestyles continued with the arrival of the Romans in AD 43. Farmers divided their fields and grew crops, and kept animals in enclosures. There is evidence that farmers raised a bank to keep animals from straying. 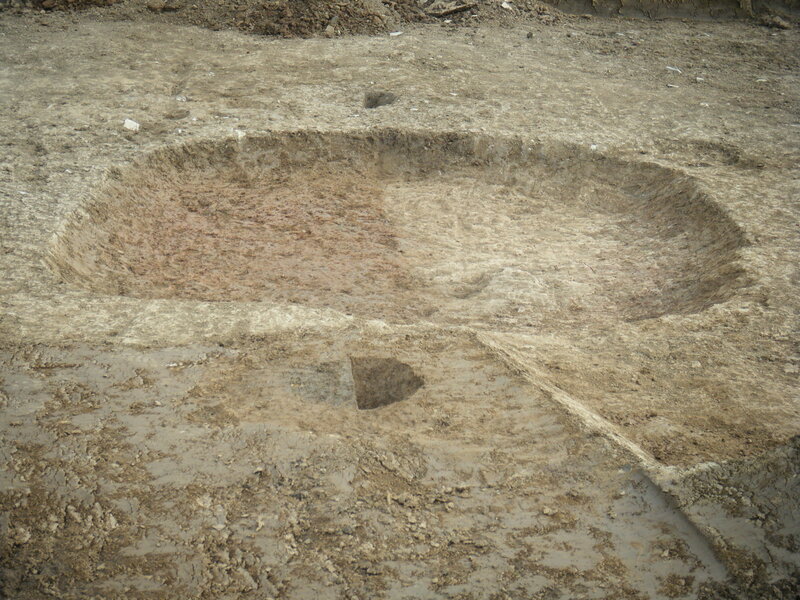 A grain drier was found at the Wick Barrow dig. 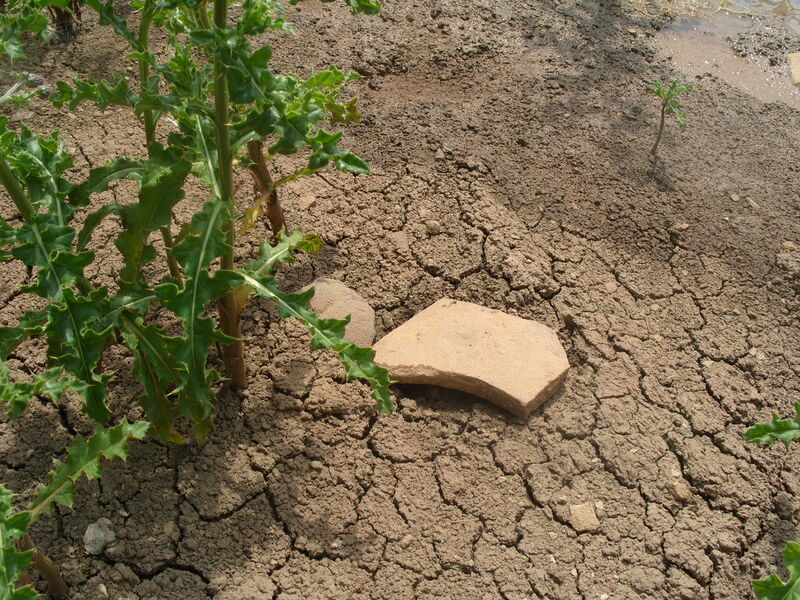 This exciting find shows us that people were drying out grain to produce flour or for brewing. Men, women and children wore jewellery to pin their clothes together and to look nice. They wore hob-nailed boots to help them walk across the marshy ground. We have found evidence that the site became too wet to continue living and farming here. There is a theory that people may have relocated further up the valley through the ages because of this flooding. The advantages of the site included easy access to the sea and a nearby port. Amphorae fragments show that people traded with other people across the Mediterranean. These amphorae were imported and contained wine, olive oil or garum (fish sauce). We have also found some of the early people from this area. Several human burials were found. People in this community were buried close to where they lived. These human remains have been removed and will be researched by an osteo-archaeologist. We will be able to discover if they are male or female, if they had any diseases or injuries, and how old they were when they died. Watch this space for more information! Between about 1,500 and 1,000 years ago, there is very little evidence of people living here. However archaeologists have found an interesting and rare sunken building. This is square in shape and had post-holes at either end. So we know that some people lived here, though perhaps not the larger numbers of earlier times.